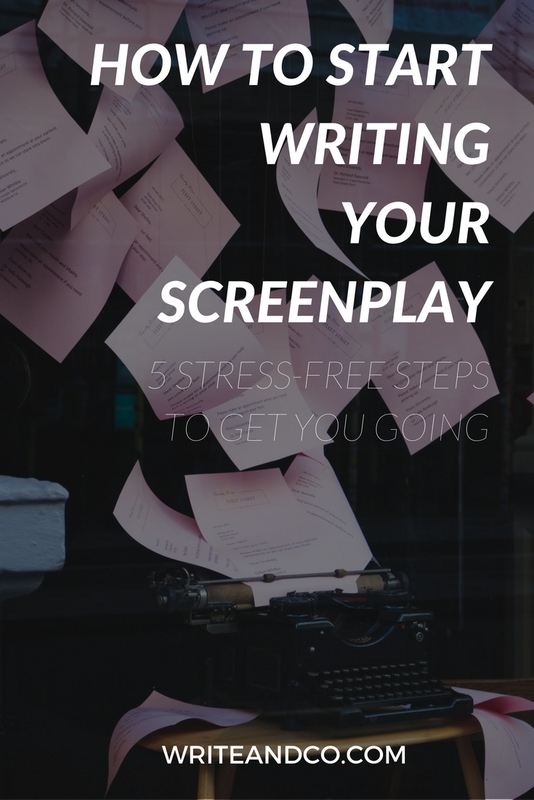 So you want to write a screenplay. And you have an idea you’re really excited about. Now what? Where do you actually… start? Sometimes starting is the hardest part. Maybe the process seems too big and daunting. Maybe you’ve read a bunch of how-to books, but are still feeling confused about the actual steps to take. Maybe you’re experiencing a little fear around wanting to do the idea justice. It’s easy to get in our heads and psych ourselves out about wanting to do it “right”. So it can be helpful to take a step back and remember that starting is just one step in the process. The only way it’s going to make or break you is if you don’t do it. So you’re in a productive frame of mind, but you’re still feeling stuck? Not quite ready to dive in? One thing that can help you get moving on a project is to have a plan that feels manageable. If the method seems simple enough, it’s easier to set aside whatever fear you’re dealing with and get yourself to take action. 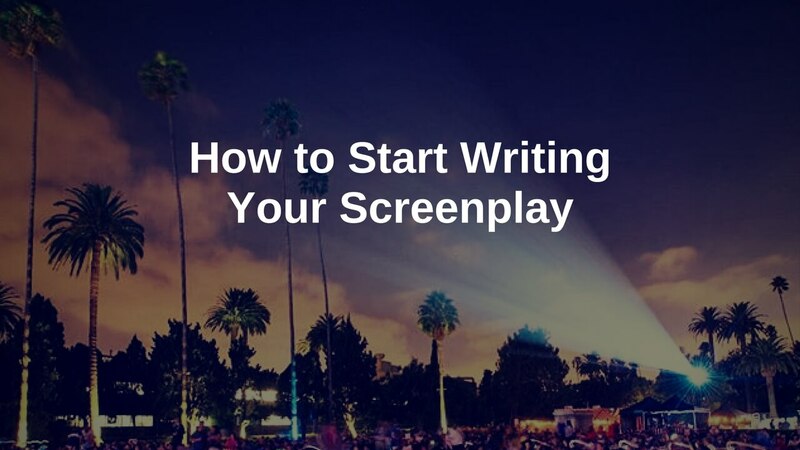 Here are five of the easiest steps to take to get your screenplay started. Step 1. Do you have a screenplay idea? If you want to write a screenplay but haven’t landed on an idea yet, then start with some brainstorming & idea-generating games to see what you spark to. Here are 3 games for generating screenplay ideas right now. If you already have the idea you know you want to write, one way to ease into it is with a brain dump. Just free-write everything you know about the idea, everything that makes you excited about it, everything you hope for it to end up being. Anything at all that comes to mind when you think of your idea. Dump it all into one document. It’s exciting to let your imagination go and just type (or hand-write) with abandon. Then you can start pulling some bits and pieces from that brain dump document to create the foundation of your screenplay. These are some of the building block story elements you need for a solid screenplay. The great thing about this step is that you probably already have a lot of what you need from your brain dump. You’re not starting from scratch here, which makes it so much easier to approach. When you’re clear on the basics you can start building out your screenplay in more detail, knowing that the foundation is sound enough to hold up to some experimenting and trying new things along the way. Start organizing what you know so far into the three acts. I’ve heard of writers using three (or four, if you like to divide the 2nd act into halves) pieces of notebook paper to do this. Like a kindergarten craft project. See? No pressure. Great! You are well on your way and you hardly broke a sweat. But what if you know all this and you still… can’t… do it. Start Small. Ask yourself, “Why is it too hard to do this for just 15 minutes?” It isn’t, and you’ll find that you quickly enjoy some tasks (somewhat). Challenge Yourself. Dispute the idea that you can’t do it. Often, we learn by trial and error, and if you take a long-range view, you’ll find that you can do something difficult. Keep Tabs. Write out your goals daily. We’re more likely to stick to our plans if we monitor our progress toward a goal. Commit to Others. Make a public commitment to complete a task. The extrinsic motivation provided by others will make you more conscientious about getting it done. Accept Incremental Progress. Dispute the idea that you need comfort and immediate reward. Getting rid of these ideas can refocus you on your long-term goal. Reward Yourself. Relaxation differs from laziness in that it is a reward for a completed task. Let yourself relax after a period of sustained effort. Which small step will you start your screenplay with? Gather some inspiration and new ideas. Fill out the 9 Screenplay Jump Start questions to create a strong foundation for your screenplay.